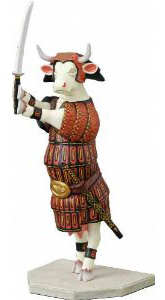 What happened to the old lady who swallowed a cow? 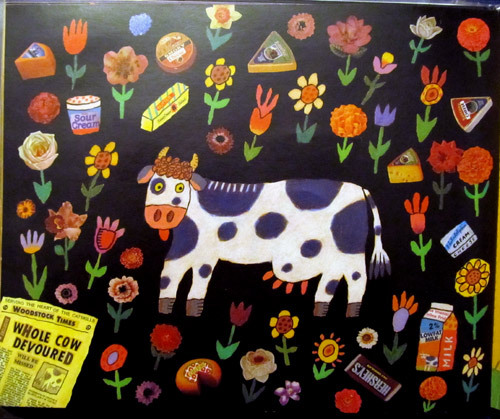 For some uncanny reason, many children’s books feature cows, even with no farm around. 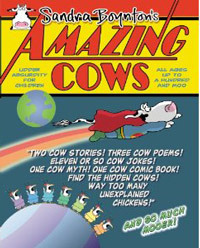 Today’s featured book is actually inspired from an American folkore poem that was first heard in the 1940s. It’s still very popular today and has been illustrated in a few children’s books. Our favorite is Simms Taback’s super colorful version of “There was an old lady who swallowed a fly“, which received a Caldecott Honor. 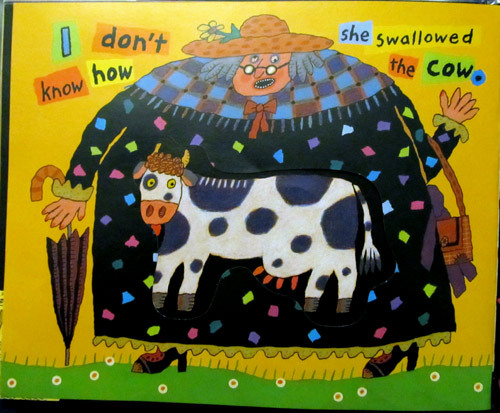 Through the book, the old lady will swallow a fly, a spider, a bird, a cat, a dog, and then a cow. Here’s the poor cow, about to be swallowed. And here it is, swallowed! Now, do you remember what the old lady does after swallowing the cow? She swallows a horse, and then… she dies! The book ends with the moral of the story – “Never swallow a horse”. Honestly, I think the moral should be: “After you’ve swallowed a cow, put down that fork. You’ve had enough to eat”. Next Post New ad for La Crème features floating cows!